The Pantanal Conservation Area consists of a cluster of four protected areas with a total area of 187,818 ha. Located in western central Brazil at the south-west corner of the State of Mato Grosso, the site represents 1.3% of Brazil's Pantanal region, one of the world's largest freshwater wetland ecosystems. The headwaters of the region's two major river systems, the Cuiabá and the Paraguay rivers, are located here, and the abundance and diversity of its vegetation and animal life are spectacular. L'aire de conservation du Pantanal comporte quatre aires protégées d'une superficie totale de 187 818 ha. Située au centre-ouest du Brésil, à l'extrémité sud-ouest de l'Etat du Mato Grosso, elle embrasse les sources des fleuves Cuiabá et Paraguay. Le site représente 1,3 % du Pantanal brésilien, secteur principal de l'un des écosystèmes de zones humides d'eau douce les plus vastes du monde. L'abondance et la diversité de sa végétation et de sa faune en sont la caractéristique la plus spectaculaire. Четыре природных резервата имеют общую площадь 187,8 тыс. га. Они расположены на западе Центральной Бразилии, в юго-западной части штата Мату-Гросу, и составляют 1,3% от всей площади Пантанала – одного из крупнейших в мире массивов водно-болотных угодий. Здесь находятся истоки двух крупнейших рек этого региона – Куябы и Парагвая, а обилие и видовое разнообразие растений и животных исключительно велики. La reserva del Pantanal comprende cuatro zonas protegidas, con una superficie total de 187.818 hectáreas. Situada en el en el extremo sudoriental del Estado de Mato Grosso, esta zona de conservación abarca las cabeceras de los ríos Cuiabá y Paraguay. El sitio representa el 1,3% del pantanal brasileño, uno de los ecosistemas de humedales de agua dulce más vastos del mundo. La abundancia y diversidad de su vegetación y fauna son las características más espectaculares de la reserva. Het Pantanal conservatiegebied bestaat uit een cluster van vier beschermde gebieden met een totaal oppervlak van 187.818 hectare. Gelegen in Centraal-West Brazilië, in de zuidwesthoek van de staat Mato Grosso, beslaat het gebied 1,3 procent van de Braziliaanse Pantanal regio, een van 's werelds grootste zoetwater wetland-ecosystemen. Het Pantanal landschap bestaat uit een verscheidenheid aan riviergangen, beekbegeleidende bossen, langdurig bestaande wetlands en meren en tijdelijk overstroomde graslanden en bossen. Daarnaast bevindt de bovenloop van de twee grote rivieren de Cuiabá en de Paraguay zich hier. Het Pantanal conservatiegebied staat verder bekend om zijn spectaculaire overvloed en diversiteit van vegetatie en dierenleven. The Pantanal Conservation Area comprises a cluster of four contiguous protected areas: the Pantanal Matogrossense National Park and the Special Reserves of Acurizal, Penha and Doroche, covering a total area of 187,818 hectares. This protected area complex is located in western central Brazil, in the extreme south-west of the Mato Grosso e Mato Grosso do Sul State and the international border with Bolivia and Paraguay. The property includes the greater part of the Amolar mountainous ridge with a maximum altitude of 900 meters. The transition between the seasonally flooded areas and the mountains is abrupt. This ecological gradient is unique to the whole Pantanal region and offers a dramatic landscape. Located between the river basins of Cuiabá and Paraguay, the site plays a key role in the spreading of nutritive materials during flooding as well as in the maintenance of fish stocks in the Pantanal. Although the property only covers a small part of the Pantanal (one of the largest wetlands of the world, covering around 14,000,000 ha), it is representative and of sufficient size to ensure the continuity of ecological processes. It also protects numerous threatened species, such as the giant armadillo, giant anteater, giant otter, marsh deer and the hyacinth macaw, the largest species of parrot. The jaguar population in the property is probably the biggest in the entire Pantanal region. The number of aquatic plant species found there is also remarkable. Criterion (vii): The spectacular landscape of the wetlands of the property bordered by the Amolar mountainous chain originates in the combination of steep cliffs with annual hydrological extremes. During the rainy season, between October to April, the rivers overspill and flood vast regions, leaving only small areas inundated. At the end of this period, the waters slowly descend leaving numerous small temporary lakes. This outstanding landscape gives the Pantanal an unique aestheticism, enriched by the abundance and diversity of the wild flora and fauna. For example, it is remarkable to see a group of giant water lilies, impressive aquatic plants, growing near to immense cactus from semi-arid regions. Criterion (ix): On a reduced scale, this site is a model for ongoing ecological and biological processes in the Pantanal. Considered as a phytogeographic region, the Pantanal is strongly influenced by neighbouring ecosystems (mainly those of the Cerrado and the Amazon, but also those of the Chaquenha and the Atlantic). This group, associating the Amolar Mountain chain with the wetland ecosystems, benefits from a major and unique ecological gradient in the region, contributing to the maintenance of the biological process. The hydrographic network permits the migration of species between the river basins forming the Pantanal, where a vast diversity of fish transit during their initial growing stage. These water courses also play a central role in diversing nutrients to the entire basin. During flood periods, a part of the fauna (notably the largest mammals) migrate from the plain to the higher, drier regions, and during the more severe drought periods, the plain can be the only area in the region to remain humid, thus playing a precious role in the maintenace of the fauna. Criterion (x):The Pantanal is extremely important for the conservation of biological diversity and the property contains representative habitats comprising around 80 species of mammals, 650 species of birds, 50 of reptiles and 300 of fish (thus the Reserve is vital for the maintenance of fish stock). Several worldwide threatened species are present here, including the giant armadillo,(Priodontesmaximus), the giant anteater (Myrmecophagatridactyla), giant otter (Pteronurabrasiliensis), marsh deer (Blastocerus dichotomus) and the hyacinth macaw (Anodorhynchus hyacinthinus), the largest species of parrot. A healthy jaguar population (Panthera onca), a species almost threatened with extinction, is also present. Furthermore, the region contains a remarkable diversity of aquatic plants. The size of the Pantanal Conservation Area is clearly defined and sufficient for the maintenance of important ecological and biological processes for the conservation of long-term biological diversity. The level of fragility of the Pantanal is high and the effects of human practices (dredging, excessive fishing, deforestation, acute erosion, waste waters, waste materials, dams generating hydrodynamic changes, canalling of water courses) represent serious threats to the whole region. The Pantanal National Park and the Dorochê Reserve are directly affected by negative human activities. The Acurizal and Penha Reserves are less subject to these effects but their flood regions are however affected by these impacts. It should be noted that around the proposed site, several private abandoned properties could ensure additional protection to the property. The integrity of the site would be improved if a larger area could be obtained for inclusion in the property. The National Park and the Special Reserves are protected by federal government decrees. The Pantanal Matogrossense National Park enjoys the strictest integral protection. The Special Reserves are inscribed by federal decree recognizing their permanent management for conservation. 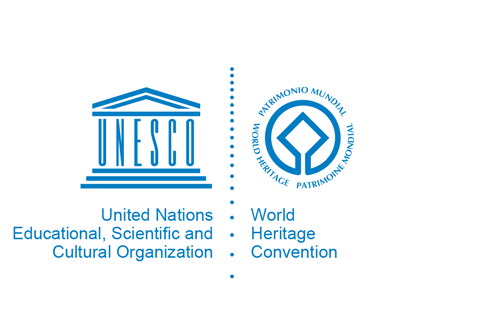 The Chico Mendes Institute for Biodiversty Conservation (ICMBio), responsible for the management of the National Park, is an autonomous federal body attached to the Ministry for Environment. The Park has an Emergency Action Plan prepared in 1994 and a Research Plan in 1997; its management plan dates from 2004. The Special Reserves are managed by the Ecotropica Foundation that implements a management plan since 1998. An integrated management plan for all the components of the property is advisable. This property, entitled « Pantanal Conservation Area », is in fact a very small part of a vast ecosystem. For example, the northern part of the Pantanal is very different, thus this property is not entirely representative of the whole Pantanal. Now that the « mosaics » tool has entered into force in the Brazilian legislation to improve the conservation of its natural resources, it would be advisable to review this property to examine how the « Pantanal Conservation Area » could be extended to form a transboundary property with parts of the same ecosystem located on the territory of neighbouring countries. The long-term integrity of the property depends on the maintenance of the hydrological regime of the Pantanal complex. The plans for the construction of navigable water courses in the region or other similar projects represent a real threat to the entire Pantanal. This type of large-scale project would change the natural dynamics and structure of the water flow in the basin, and moreover the massive absorption capacity of flood waters in the Pantanal followed by its slow descent. There is a need to develop sustainable ecological economic activities, and to monitor the preparation of programmes attracting tourists to the Pantanal in advance. Problems such as illegal sport fishing, disturbance of nesting areas and requests for deluxe items (source of pollution) require strict control. Although poaching of wild animals and its illegal commerce has been controlled within the property, pressure on species such as the caiman, jaguars and parrots continues outside the property. Various scientific research and environmental educational activities are encouraged and developed in the cluster of protected areas. All the components of the property are part of the Biosphere Reserve and the National Park is, furthermore, recognized as a Ramsar site. The Brazilian environmental policy encourages participation by organized civil society and public-private partnerships, through committees assisting in the management of the protected areas.